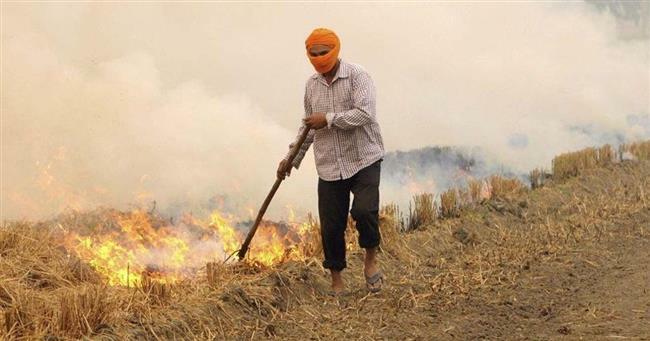 Chandigarh, September 29: The Punjab government led by Chief Minister Captain Amarinder Singh has decided to appoint nodal officers in 8000 paddy growing villages in a move to check stubble burning. Captain Amarinder Singh had earlier directed the Agriculture Department to actively engage its machinery for on-ground activities at the village level to effectively tackle the menace of stubble burning. According to Additional Chief Secretary (Development) Viswajeet Khanna, all the Deputy Commissioners have already been asked to depute the officers/officials for each of the affected villages to spread awareness on the dangers of stubble burning for health and environment. Khanna said the staff of Cooperation, Revenue, Rural Development & Panchayats, Agriculture, Horticulture and Soil Conservation departments, the Punjab State Power Corporation Ltd., besides the Guardians of Governance, will be actively involved in the efforts to stamp out the unhealthy practice of stubble burning. The nodal officers will undertake various activities, ranging from holding meetings with the farmers, arranging Crop Residue Management (CRM) machines, distribution of pamphlets/leaflets etc. in villages, besides making announcements in Gurdwaras or by other modes. These nodal officers have also been tasked to interact with village schools for organizing rallies and awareness lectures to sensitize students so that they could in turn prevail upon their parents to make them aware about the ill-effects of stubble burning. All the secretaries of 3485 Cooperative Societies across the state would be put on this job. Likewise, the services of the 1850 Panchayat Secretaries of Rural Development & Panchayats, 2000 Junior Engineers, 6000 linemen, 200 Sub Division Officers of PSPCL, 1500 officers of the departments of Agriculture, Horticulture and Soil Conservation, besides 8000 Guardians of Governance, would also be engaged for this purpose. State Nodal Officer for anti-stubble burning campaign KS Pannu stated that apart from these, for every 20 villages, an officer such as Block Development & Panchayat Officer, Block Agriculture Officer, Circle Revenue Officer etc. would be appointed as Coordinating Officer to oversee the activities on ground. The concerned nodal officers would submit their detailed status reports through the coordinating officers to Sub Divisional Magistrates (SDMs) at the end of the season, so that the entire data is collated and stored in the offices of the concerned Chief Agriculture Officer for record and reference purpose. Notably, the state government has already embarked upon a massive programme for management of paddy straw, without burning, by the farmers. As many as 24315 subidized agro-machines/equipments are being supplied to the farmers, Cooperative Societies and Custom Hiring Centres to achieve zero burning of paddy straw. Paddy is grown on 65 lac acres of land in Punjab. After harvesting paddy, about 20 million tonnes of paddy straw is left in the fields to be managed by farmers before sowing the next Rabi crops. It is estimated that 15 million tonnes of paddy straw is burnt by farmers for early and easy clearance of the fields. It may be recalled that the Chief Minister had recently written a letter to Prime Minister Narendra Modi seeking Rs. 100 per quintal as compensation only for those farmers who abstain from burning paddy residue under the state government’s ambitious programme for management of paddy straw.